YouTube Millionaires: Michael Tucker Of ‘Lessons from the Screenplay’ Has Been Dissecting Movies For Years. Now, He’s Making His Own. It’s well known that YouTube beauty gurus trump brands in terms of online influence, but a new study from Pixability explains the massive degree to which vloggers, “haul girls”, and other style creators dominate the online beauty conversation. What’s most interesting, however, isn’t the difference in traffic between brands and creators; that’s to be expected on a platform like YouTube. Instead, the most important wrinkle is the way beauty gurus are changing the sort of content that consumers want to see. The online video audience isn’t interested in promos, product announcements, or behind-the-scenes features; they want to see the goods in action. Tutorials, how-tos, and hauls are now the preferred beauty subgenres. 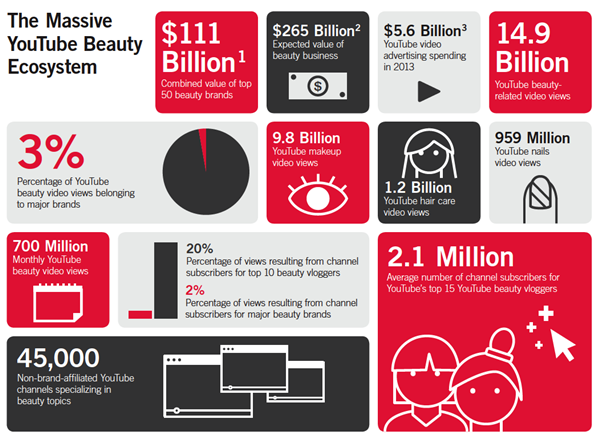 As Pixability’s report explains, brands that are embracing the beauty community are reaching a tremendous number of viewers. In particular, the report discusses NYX, which has received 380 million YouTube views despite a “limited budget.” 99.5% of NYX’s views come from user-generated content; in contrast, only 42% of Dove‘s views come from UGC. The result: Dove has 143 million fewer YouTube views than NYX despite having a much longer history on the site. Again, this trend isn’t new and fashion-and-beauty-centric online video networks like StyleHaul have seen some significant growth in the past several months (with four of its partners among the Top 100 fastest growing channels on YouTube in December 2013). 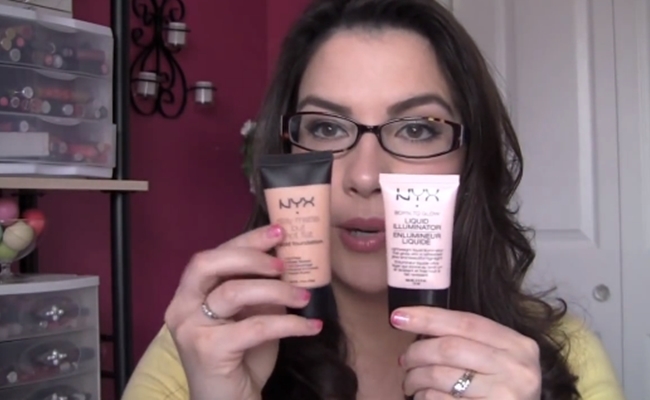 But NYX provides a great example of a brand putting its understanding of the YouTube beauty community to good use. Even on their own channels, brands are encouraged to think like individual YouTube creators. “Beauty brands that produce a wider variety of content topics in varying lengths and on a consistent publishing schedule can capture viewers within all stages of the customer journey and increase customer engagement with specific content,” explains the report. Considering the size of the YouTube style community, video should obviously be a huge part of any beauty brand’s marketing strategy. In order to maximize this effort, brands need to remember, when on YouTube, to think as the YouTubers do. Tubefilter is the curator of online video. We do that in a number of ways. From industry news, to web series reviews, to related events, and one heck of an Awards Show. Learn more about us and what we do here. If you have a great news tip, are interested in advertising on Tubefilter, thinking about possible partnership opportunities, want to find out more about our upcoming events, would like to write a guest post, or just want to say "hello," be sure to drop us a line. © Copyright 2007 - 2018 Tubefilter, Inc.
Don't miss out on the next big story. Get Tubefilter's Top Stories, Breaking News, and Event updates delivered straight to your inbox.